A new study by the Journal of Psychological Science reports that “the awe” of nature makes you feel like you have more time in your life. So it makes sense that many harried Silicon Valley CEOs choose to live in Saratoga. And those of us who don’t run Fortune 500 companies can still enjoy some of their perks… for free. Anyone can access the incredible number of hiking and biking trails and enjoy strolling down Big Basin Way, Saratoga’s “Main Street.” Unfortunately there’s no easy way to reach Saratoga via public transportation, but once you park your car in one of the free lots on Big Basin Way (Highway 9) you won’t need it again. Vita Bruno, chair of the Saratoga Parks and Recreation Commission, says the trails accompany all levels of fitness. Here, four hiking and biking adventures in Saratoga. 1. Joe’s Trail. A new trail on the block, Joe’s is flat and perfect for beginner hikers or bikers. Its eight miles run parallel to the railroad from Saratoga-Sunnyvale Road to Saratoga Avenue, along a portion of the Juan Bautista National De Anza National Historic Trail—meaning you get a little culture with your exercise. The trail head starts at Saratoga-Sunnyvale Road at the railroad crossing just south of Seagull Way (VTA bus 53 runs there). 2. Villa Montalvo (15400 Montalvo Road). Longtime Saratoga resident Edie Kuhlmann Bowman cites this 175-acre property as one of her favorite places to hike. Formerly the residence of California’s first-elected senator, the Mediterranean-style mansion is now an arts center, concert venue, and hiker heaven. “When you reach the summit and look down on San Jose, it feels like civilization is far away,” says Bowman. 3. Cooper Garrod Estate Vineyards. Avid cyclists can climb the mountain to the Cooper Garrod ( (22645 Garrod Road) winery, which may be one of the few vineyards that offers horseback riding next to a tasting room. On the way, stop off at Hakone Estate and Gardens (21000 Big Basin Way), an authentic Japanese garden with a koi pond, bamboo park, and tea ceremonies. 4. Fremont Older Open Space Preserve. This 739-acre expanse is the ultimate getaway for hikers, cyclists, and equestrians. Popular attractions include open hayfields, Seven Springs Canyon, and Hunters Point, a 900-foot hilltop with sweeping views of the Santa Clara Valley. The entrance to the preserve is at the end of Prospect Road (take bus 53 to De Anza and Prospect, and from there you can walk or bike the 1.3 miles to the park). Downtown Saratoga is that breed of small-town America that is all too rare in California these days. This is the sort of place where you likely to see the mayor chatting with a shop owner while retired men spend their days discussing politics over coffee. Big Basin Way offers delicious opportunities aplenty to fill up after your day of activity. Check out , including The Basin (14572 Big Basin Way), a local favorite, Bai Tong Thai Bistro (14515 Big Basin Way), or the Mexican joint Casa de Cobre (14560 Big Basin Way). So soothe sore muscles, head into Preston Wynne Spa (14567 Big Basin Way) for a bespoke massage or a Thaiyurveda Warm Herbal treatment. 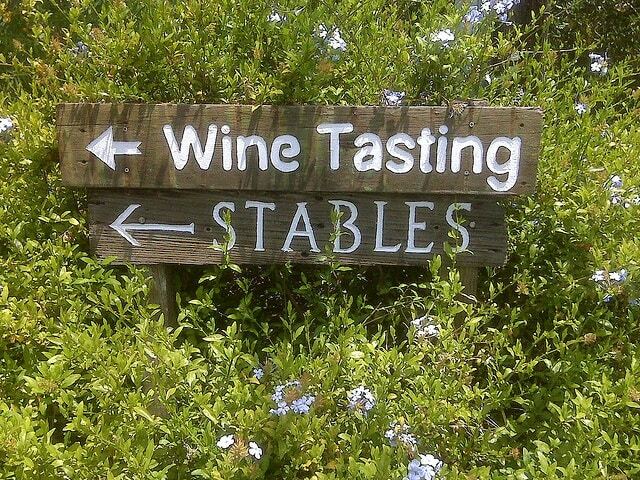 Then cap the day off with a tasting at Cinnabar Winery (14612 Big Basin Way) of a handmade treat from Saratoga Chocolates, (14572 Big Basin Way). Directions: Take Caltrain to Sunnyvale, and then Bus 53 to the Saratoga & Saratoga-Los Gatos stop.